Animal Wildlife | Emperor Penguin | The emperor penguin is the largest species of penguin in the world with the average emperor penguin growing to around 120cm tall. The emperor penguin is most well known for the bright yellow patch of feathers found on the emperor penguin's chest. The emperor penguin is found in the deep Antarctic with the emperor penguin rarely venturing too far north. 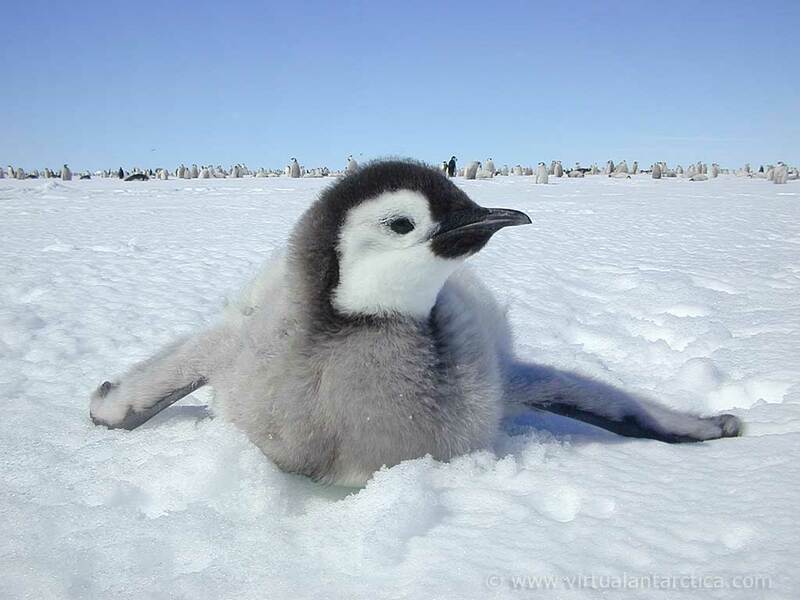 The emperor penguins live on the compact ice and small islands around the South Pole and spend much of their time hunting in the surrounding freezing water. Emperor penguins are carnivorous birds and hunt fish, squid and crustaceans such as shrimp and crabs. The emperor penguin is able to swim through the water using it's wings but emperor penguins are one of the few species of bird that cannot fly. When hunting, emperor penguins are able to remain underwater for nearly 20 minutes and emperor penguins are also able to dive to depths of over 500 meters. 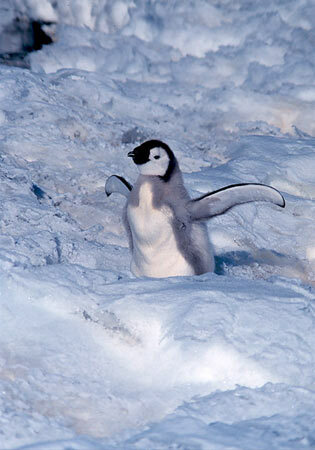 The emperor penguin is the only animal that is able to withstand the Antarctic winter on the open ice. The emperor penguins huddle together in enormous groups to keep themselves warm and protected from the bitter winter elements. Every year, the adult emperor penguins make the same journey across the ice to get to their breeding grounds. Emperor penguins walk between 50 km and 120 km to get to their breeding grounds where the emperor penguin numbers are often in the thousands. 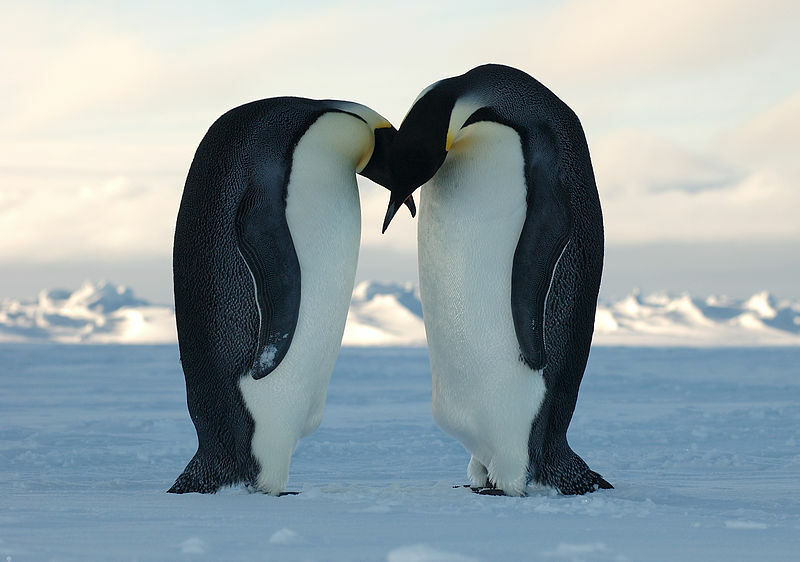 Unlike the breeding of most bird species which occurs in the spring, the emperor penguin breeds in the winter. 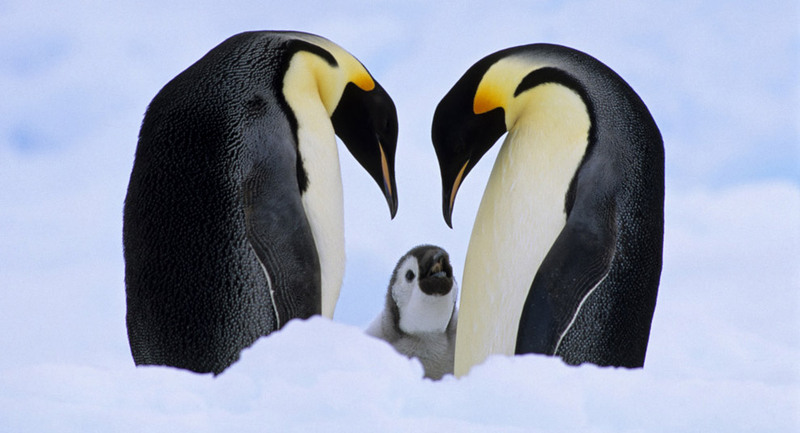 The female emperor penguin lays a single egg which is transferred to a pouch above the male emperor penguin's feet. 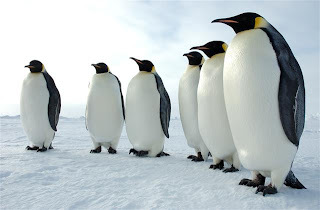 The female penguins then leave and head for the open ocean in search of food, leaving the male emperor penguins to brace the bitter winter and incubate their eggs. The baby emperor penguins hatch after about 2 months, with the female emperor penguins having returned with food for the chicks. The emperor penguin chicks are nurtured by the mother emperor penguins in their brood pouches for about 2 months when the emperor penguin chicks are stronger. It is essential for the survival of the emperor penguin chicks that they are born when they are, so that they are strong enough to cope with the water when the ice melts in the summer. Emperor penguins typically live for around 20 years but some individuals have been known to be more than 50 years old. 1 Response to "Emperor Penguin"
Last many days I am searching some good article and I am very glad to find your article. This is very essential and informative information for me. I would like to say your post is superb and relevant my topics.